There will come a funeral one day that you will attend that will bring tears. Tears that continue to flow. Tears that you can not stop from coming. Tears for the past. Tears because it's the end. It's is the end of a "story". Tears because in one life, your life has been interwoven and molded. Tears because it's time for a new beginning. That junction point funeral come for me on Tuesday, July 27, 2016 in my Aunt Bernice. My aunt who sacrificed her life in her 40's to raise me from zero to five, my formative years. My aunt who loved me. She raised me like I was to grow up to be a queen. My aunt then sacrificed again as she gave me back to her brother and to my real family. All I could do was sit and stare at the casket and the yellow roses on the casket. There was singing and piano playing, I didn't see the singer and piano player. There was a preacher, preaching and I heard him but looked through him. 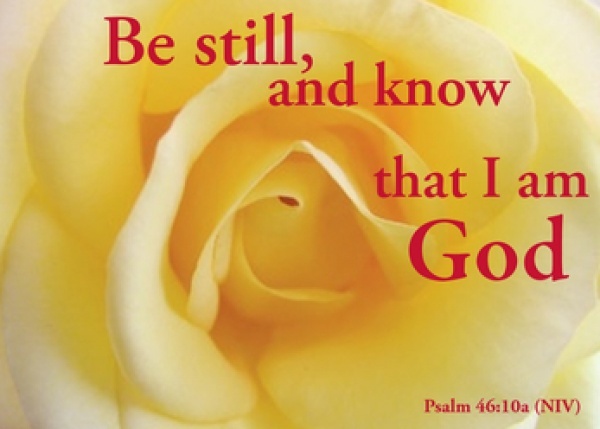 The Old Testament Scripture was read: Be Still and Know I Am God. Psalm 46. This is something I have been meditating on for years: Be Still and Know I Am God. It is a powerful mantra. It will anchor your thoughts. It will change your life. The New Testament Scripture was read: Revelation 7 which is the very book of the bible that I had read at my kitchen table two Sunday's prior to the funeral while listening on the radio to a Davidson College Presbyterian Church sermon. I remember reading about all the tribes of Judah and I sat in awe again as I heard that scripture read at my aunt's funeral. I just kept wondering...What are the chances? What are the chances that this book of the bible would find it's way back to me? What are the chances? Then the eulogy was entitled A Legacy Worth Leaving, What Will Your Legacy Be? That lead me back to this post and The Black Folder Project. As much as I want NOT to go forward I MUST. I have to print booklets, I have to market a workshop, I have to hold a workshop, I have to. This is part of my story. This is part of my legacy.